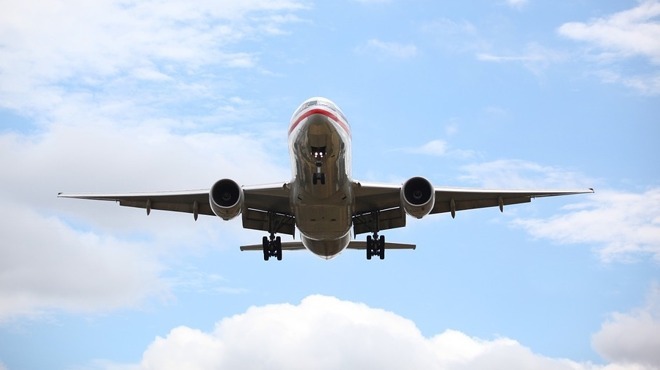 Announced on Wednesday, the new rule from the US DoT's Pipeline and Hazardous Materials Safety Administration (PHMSA) in coordination with the FAA is an "interim final rule" revising hazardous materials regulations for lithium-ion cells and batteries transported by aircraft. The rule change prohibits the transport of the batteries as cargo on a passenger aircraft outright. In cases where it is being transported in a cargo-only aircraft, lithium-ion cells and batteries are to only be charged to a maximum of 30 percent of its capacity. While the rule change applies to cargo, it does not apply to devices being carried or used by passengers in the main cabin, or stored with luggage in the hold. At most, the lack of the batteries as fully charged cargo aboard a passenger-based craft will in theory improve safety for those on the flight, by there being fewer batteries being transported. "This rule will strengthen safety for the traveling public by addressing the unique challenges lithium batteries pose in transportation," advised US Secretary for Transport Elaine L. Chao. At worst, the rule change will impact firms that rely on cargo-based flights to transport electronic devices, which includes Apple. Rather than being set in a charged state and ready for use at the time of manufacture, devices that end up being shipped via plane will have to be kept at a charge of 30 percent or less in order to fly, which means either devices will be supplied to consumers at a lower level of charge, or will have to be topped up on arrival before being shipped to customers or retailers. Though rare, a battery-based fire can cause considerable harm to a person if they are nearby, but the limitations of space inside a cargo hold could prove deadly in the event of a battery combusting. The FAA told Reuters a battery fire could potentially exceed the capabilities of an aircraft's fire suppression system, which could lead to a catastrophic failure. It is noted that there were 39 incidents relating to air cargo transportation between 2010 and 2013, 13 of which involved lithium batteries that smoked, overheated, exploded, or caught fire, which could have been prevented under the new rules. The FAA also noted three incidents between 2007 and 2011 involving lithium-ion batteries in cargo, with the batteries determined to be either the cause or a major factor in making an onboard fire severe enough to cause the loss of three aircraft and the deaths of four people. I'd be curious as to the percentage of lithium-ion batteries shipped preinstalled in various devices versus bulk shipments of batteries for other uses. For example, does anybody ship large quantities of batteries for use in cars or devices assembled in the US etc. In terms of cargo, air can be an attractive option for small battery packs, and this is likely how many internet purchases are delivered instead of by sea. The FAA are being quite reasonable with the max charge capacity, as it's not realistic to keep Li Ion batteries in a discharged state in storage (they're best stored with a medium charge.) Requesting discharged batteries would involve discharging when taken from short term storage prior to sending. when you purchase an apple device online, it is shipped via cargo only airplanes (fed ex, ups, etc. ), for which this new rule does not apply, (or shipped via ground transportation). "In cases where it is being transported in a cargo-only aircraft, lithium-ion cells and batteries are to only be charged to a maximum of 30 percent of its capacity. " "In cases where it is being transported in a cargo-only aircraft, lithium-ion cells and batteries are to only be charged to a maximum of 30 percent of its capacity. " It does apply, and in cases where stock turnover is low, may result in new products with dead, or close-to-dead batteries being purchased. Lithium batteries are best stored with a medium charge, and older stock that has been in inventory, or on the shelf for a while with depleted batteries may have compromised durability. This is very good news and represents regulation that actually makes sense. I do wonder is it applies to all Lithium chemistries or just lithium polymer. That's not necessarily true. You do not know how the shipping company transports them in bulk to the States. These rules were in effect by many airlines including US airlines prior to FAA regulations. Only they applied on passenger flights. The issue is that cargo space does not have temperature and pressure control equivalent of passenger cabin. Those bateries are designed to work in normal human operation conditions and not extreme conditions. That is why they asked you to keep devices and spare batteries in carry-on and not in main luggage. So now similar rules apply to cargo flights. Just keep reading signs in airports and perhaps do not ignore that flight briefing pamflet that you ignored all the time because "you know all those emergency rules by heart already". Yeah, and I still don't use my phone at gas stations because they'll blow up if I do. This was good eye roll material at least. There is something wrong with this article. It would not surprise me if it is FAA who made the mistake. When it said 30% - they probably meant 3.0v. We are used to seeing % used on our phones. Lithium cells are fully charged at 4.2v and the nominal is 3.7v and the storage is 3.0v (some will go a little under that, but it is risky). So 100% = 4.2v and 30% is 1.26v which is dead and beyond recovery. No manufacturer will sell a lithium cell that is below 3.0v which is 28% low. They are sold and shipped at 72% charged. Lithium will not burn. The solid oxygen in the matrix will not burn. Any lithium cell overcharged or over discharged can heat up enough to cause the O2 to change back into a gas which can burn if hot enough. This happens when a Lipo cell pillows. What is the danger? The big problem is not the cell as much as the BMS. The safest pack is one that uses an Active BMS and not the cheaper Passive type like Telsa cars tried. Thus a stored device like a laptop can be more dangerous than an actual bulk cell in shipping. The only safe storage is cool, dry with an oxygen suppressant extinguisher. Example: we use a safe starch foam type in our electric airplane that instantly stops flames and smoke without removing O2 from the pilot. It cleans up with water if ever needed. Whoever at FAA that made this rule probably missed a few belt loops as well! Um... the cargo holds of passenger airliners ARE pressurized and they ARE temperature controlled... by the same system that provides for the cabin. It takes high heat to get solid O2 to change back to a gas. Some lithium cells are designed for low pressure so the saline liquid will not escape at high altitudes. The lithium air or button cells can also expand but rarely ever ignite. Shippers and FAA can learn everything they need to know about batteries from the Battery University online. Lives and property could be saved if everyone took a little time to educate themselves about batteries. Proper use and handling can greatly reduce the dangers of dendrites and multiply the cycle life which can save a large investment. Do not be lured into the promises of fast charging cells. All cells love a slow charge. Tesla is learning that the hard way. It takes high heat to get solid O2 to change back to a gas. Solid O2 ???? did you, bu chance, mean something else??? O2 is already a gas at room temperature and ambient pressure... It would have to extremely cold or extremely high pressure to get O2 to become solid. (like cold that we don't experience on the surface of the earth... same for pressure. Solid oxygen is one of the ingredients in Lithium batteries. If a Lipo pillows - that is because the O2 has separated as a gas and is trapped by the foil. The remaining matrix will not burn after the O2 is released. There are some cells made that will not short out and burn even after being pierced with metal. FAA needs to go back to school if they want to regulate something they know very little about. Battery capacity is measured in watts or kWh, amp hours or mAh - NOT in %. No voltage meter reads in %. A cell phone has a % reading to show how long the phone can be used before a recharge is needed. When it says ZERO - the voltage is still around 3.0v which is about 72%. If any lithium cell drops to 30% - it is ready for the trash! Their new rule makes no sense (like many others)! Solid oxygen is absolutely not part of the battery construction. An oxidation reaction is not the same as solid oxygen, not even close. Chemically, Li2O, Li2O2, and LiO2 are solids inside the battery, but have no chemical or physical similarity to O2. They are no more solid oxygen than water is liquid hydrogen. "LiO2" - O2 is oxygen. It can only be a solid, liquid or gas - which is it? If a case of lithium batteries are shipped - what is the voltage per cell if they are "30%"? Is the "30%" rule amps, volts, watts or the usable voltage before charging is needed? How is the "30%" determined and what device does FAA use to check them? If they are at "30%" - what is the voltage?